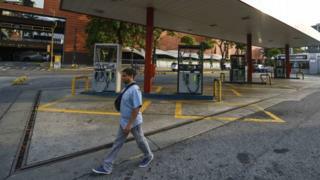 Venezuela is currently in shut down as the country's worst ever power cut continues into its second day, causing all schools and workplaces to close. 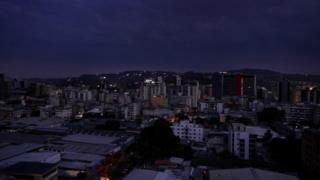 The power cut started on Thursday evening in the midst of rush hour, plunging the capital of Caracas into darkness as commuters attempted to make their way home. 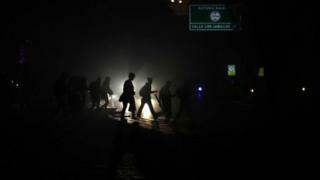 The power cut comes amid a political crisis, with president Nicolás Maduro facing a challenge from opposition leader Juan Guaidó. 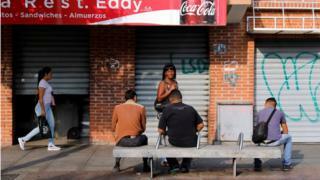 President Maduro has blocked humanitarian aid from entering the country, leading to food shortages. 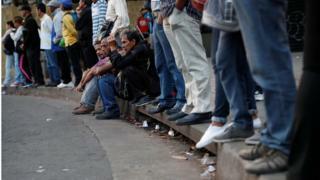 The power cut has caused phone networks to stop operating, shops to close and flights to be diverted from the main Caracas airport. 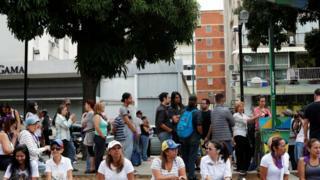 Communications Minister Jorge Rodriguez urged Venezuelans to have "a little bit of patience", assuring them that service would be restored in a few hours. "If you're in your home, stay in your home. 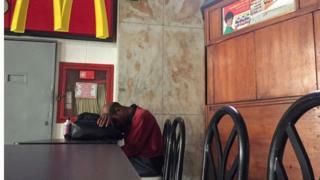 If you're in a protected space or at work, it's better for you to stay there," he said. 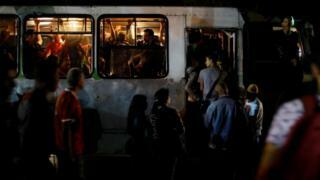 On Thursday night, buses were particularly crowed as commuters avoided walking home through the dark streets of Caracas. 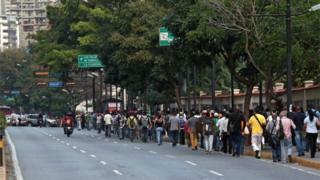 As the metro service in Caracas continued to be on hold into Friday, the streets were filled with people travelling by foot. People have been queuing up in the streets to charge their phone using solar power.